When it comes to famous writers in Disney theme parks, Mark Twain got an island named after his character, a riverboat named after his pen name, and a frontier fortress named after himself. He’s doing pretty good. 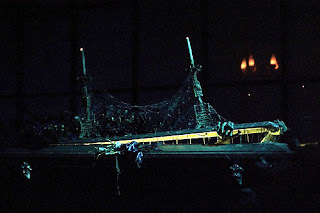 Jules Verne used to have a submarine ride, a guest spot in Timekeeper, and an entire land at Tokyo Disney Sea. Not too shabby. Charles Dickens’ charming story of an orphan cat from New York was made into a Disney animated feature film. His other story about a miserly duck was turned into a holiday classic. 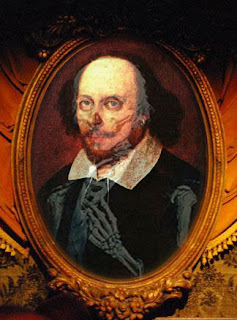 But in spite of creating roughly 75% of all plays performed today (Andrew Lloyd Webber has the other 25%), William Fitzgerald Shakespeare is suprisingly unrepresented in the parks. You might be able to find a few trace elements. Lion King certainly has echoes of Hamlet, and maybe they have some Shakespeare merchandise at the UK pavilion at Epcot. But other than that, references to the Bard are few and far between. Or maybe you’re just looking in the wrong spot. 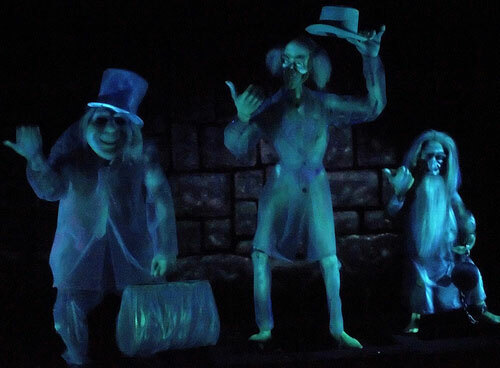 Try the Haunted Mansion. Shakespeare actually contributed one very important element, though unless you’re familiar with all of the Bard’s work, you might miss it. 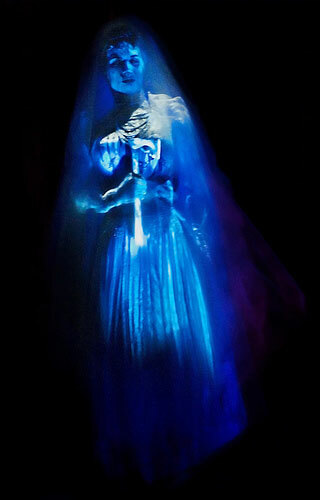 Shakespeare was known for ghostly characters, so it’s a natural fit. No, you won’t find Banquo or Julius Ceasar roaming the haunted hallways (or will you? ), but it’s hard to tour the Mansion without Shakespeare’s help. 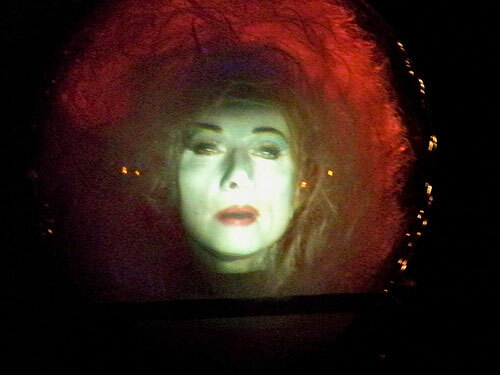 Forget the library, with the haunted busts. None of those are the Bard (and neither are any of the books, to the best of my knowledge). And he’s not in the portrait gallery, the stretch room, or the endless hallway. Your best shot is the graveyard, but even still, if you’re looking for him, you won’t find him. This entry was posted in Disney Theme Park Hidden Secrets and tagged Haunted Mansion, Magic Kingdom. Bookmark the permalink. I always figured the crow you see at least 3 times had something to do with Edgar Allan Poe. “Nevermore”? I think there’s history to back that up. I’m pretty sure the raven has its origins in the Poe story, and maybe even said the words “Nevermore” at some point in early concepts. 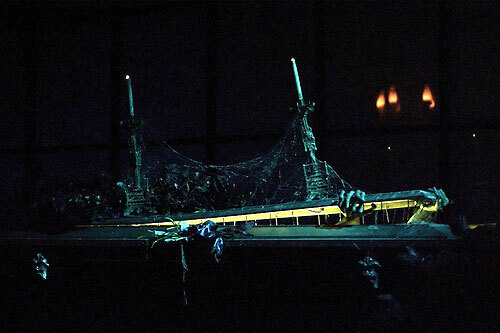 “The Raven” was also featured directly in the original Journey into Imagination. I believe the words “Nevermore” were spelled out in the “scary” portion of the ride, accompanied by a Raven silhouette. Rather late to the party with this, but sitting at the head of the table in the ballroom is none other than Great Caesar’s Ghost (who knows which Caesar, though).